In all seriousness, Adonis joins in to review the 80’s cult film The Monster Squad and we have a short but sweet visit from one of our favorite guests. Question of the Week: Have you watched any of these movies? What did you think of them? Of course the Rock was a champion, though not for as much as a wrestler of his caliber should have been because unfortunately for him (or maybe fortunately, debatable) Stone Cold was the bigger star and generally carrying the belt. I LOVE all the movies mentioned here, especially Eternal Sunshine of the Spotless Mind, that movie is just brilliant, but super double especially THE MONSTER SQUAD, my dad renting The Monster Squad and watching it with me over and over is one of my earlier memories (well of what I can still remember). And as a kid I loved it, it was so fun, and so cool seeing those monsters in an, at the time, modern setting, it’s possible it might have been what shaped my love for horror movies. Then I forgot about it for a long time, until I rediscovered it in my late teens/early twenties and loved it again but for all new reasons. I stated previous that I can like any movie when it accomplishes its goal, especially when it’s self-aware, and that’s exactly what this movie does. It’s both a satire of the 80’s and kid clubs like The Goonies/Little Rascals/Stand By Me, etc…as well as a love letter to classic Universal horror movies, so many classic scenes are either recreated or redone with a twist. Doug Walker, The Nostalgia Critic, said it best: “it’s overly violent, it’s insane, and it’s drenched in the 80’s, and that’s why it’s AWESOME!”. I’ve shared it with my nephews and they dug it, seen a few times at the Alamo Drafthouse (and we all know the Draft only replays great movies), in fact I really want to go see the reunion tour the Drafthouse is doing here on Sunday, but unfortunately I have to do my Game of Thrones after show. The Monster Squad is my jam. Speaking of Game of Thrones, Adonis just said why it’s a poor adaptation at this point “some characters have consequences”. Yeah, some, meaning there are some who can do all kinds of stupid and still come out smelling like roses, like every other fantasy, which doesn’t happen in the books. Finished rewatching The Monster Squad. Still great. 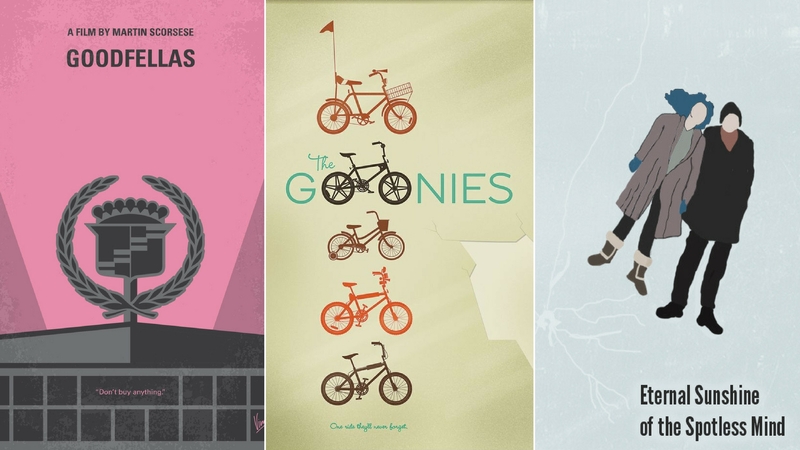 I haven’t seen any of these movies, except for The Goonies, which I started, but never finished. Also, Kiss Marry Kill Finn McMissile, Lightning McQueen, and Mater.